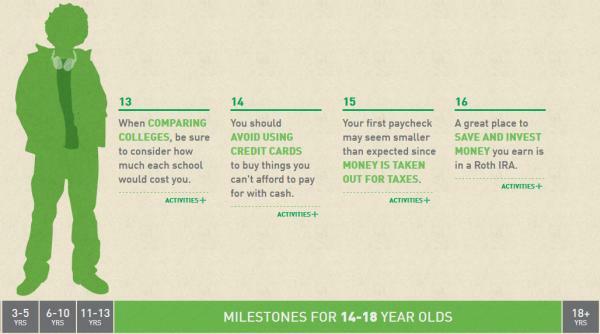 The following charts are a summary taken from the “Money as you Grow” presentation prepared by the President’s Advisory Council on Financial Capability (created by executive order). 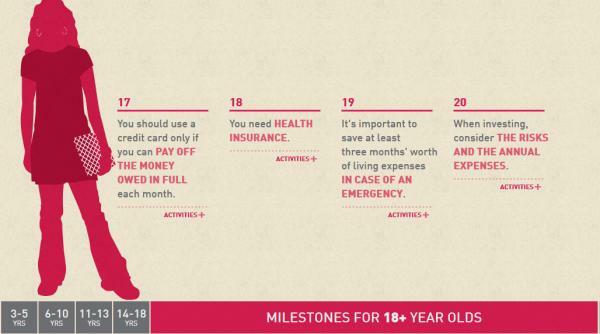 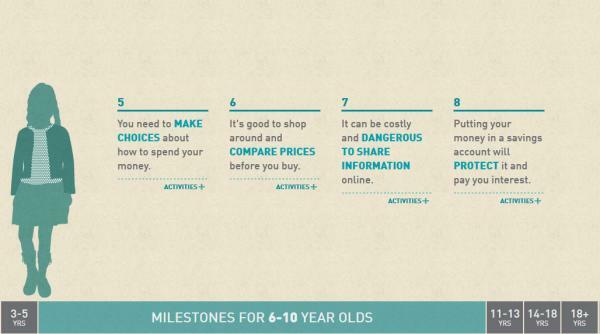 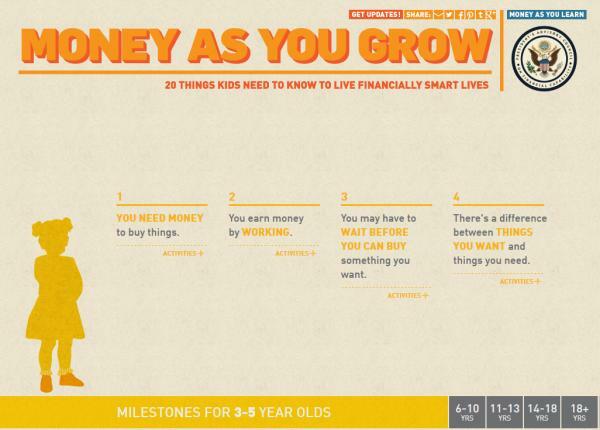 What it highlights are “20 Things kids need to know to live financially smart lives” and is Barack Obama’s personal advice to children ages 3 through 18+ on how they should spend their money. 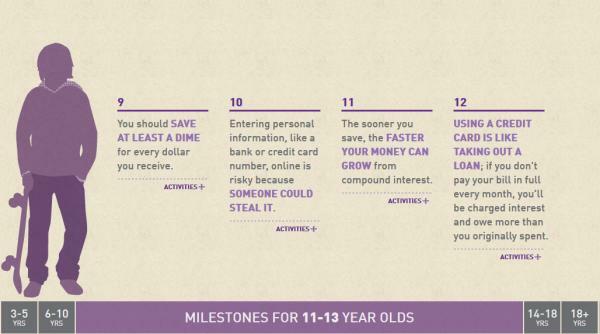 The list, which includes among it such brilliant advice as “you may have to wait before you can buy something you want”, “it can be cost and dangerous to share information online” (with the NSA), “putting money in a savings account will protect and pay you interest“, “the sooner you save, the faster your money can grow from compound interest”, “your first paycheck may seem smaller than expected since money is taken out for taxes“, “you should use a credit card only if you can pay the money owed in full each month”, and of course “you need health insurance” has been pulled straight from Bizarro Day, and literally redefines New Normal humor since everything it recommends is the opposite of how the real world now works.